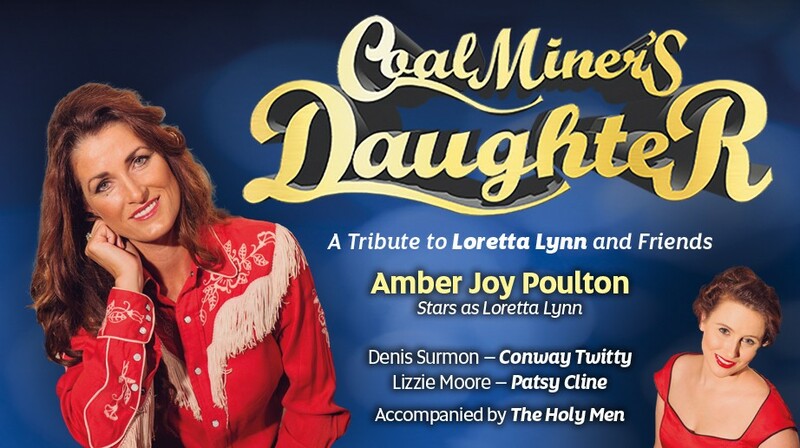 A homage to legendary singer Loretta Lynn as look-alike songstress Amber Joy Poulton shines the spotlight on one of Country music’s most beloved performers in Coal Miner’s Daughter. “I am thrilled to be bringing the songs and stories of an inspirational industry pioneer to the stage. Loretta is a superstar who rose from humble beginnings to be recognised as the first Queen of Country Music and first female awarded Entertainer of the Year. She was married at 15 with 4 children at 19 and a grandmother at 29. Her first hit, “Honky Tonk Girl”, was recorded when she was 25 and led to an invitation from the Grand Ole Opry, where she played for 17 weeks straight. Loretta came to the attention of her idol, Patsy Cline, and their close friendship is beautifully portrayed in Coal Miner’s Daughter."